Summer 2018 is kicking off in a spectacular way at Entelechy Arts. We have been commissioned by Southbank Centre to contribute to their (B)old Festival on Saturday 19 and Sunday 20 May and we need your help to make it happen! (B)old is a new festival profiling artists aged 65 years and over, who are established in their practice and recognised nationally or internationally for their work. (B)old celebrates great artists who stand the test of time and doesn’t shy away from the issues facing them. In industries that often celebrate and cater to the young, when are you truly ‘in your prime’? What impact has age had on your artistic practice, and how do you stay relevant? 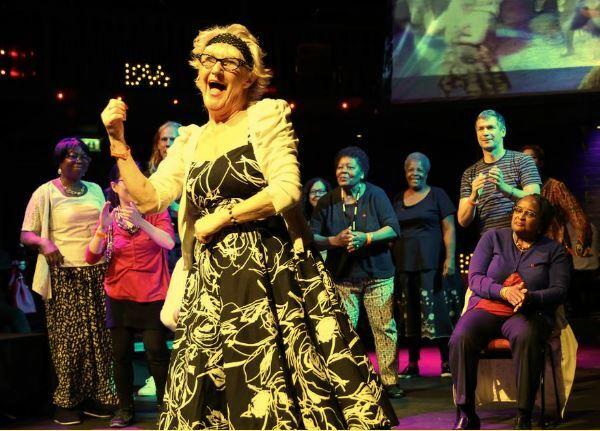 (B)old will be an exciting opportunity for Entelechy Arts to showcase one of our groundbreaking 21st Century Tea Dances and BED, the street performance event created by members of our elder’s company. We are looking for volunteers to help support this exciting event on Saturday 19 May, 10 am-5pm at the Southbank. Food and transport expenses will be covered on the day. There will be a training session on-site at the Southbank Centre on the afternoon of Thursday 17 May. All of the volunteers attending will be invited to join us for food after the training.